Courtesy of REALTY ONE GROUP ADVANTAGE. Potential Family Compound – add lots. Why here/why now? Villa Adriana is ideally located with quick access via I-275, I-75, & the Veterans Expressway to all the wonderful amenities, world-class shopping & dining, professional sports, beaches, marinas, & parks throughout Greater Tampa Bay & Gulf of Mexico area. It 8217;s also an easy drive to Orlando and the theme parks there. This remarkable Mediterranean revival home/castle with breathtaking views of Lake Kell rests on 5 acres in the gated community of Bellamere. The Tuscan-themed landscaping complements the Old World feel of the home. Appointments include: Authentic Venetian plaster walls throughout, Baroque-style painted & gold leaf ceilings, 14 Swarovski crystal chandeliers, travertine & iron rail staircase, cherry cabinets, aged granite flooring throughout, & 46 Tuscany-style castle-like interior doors. Modern technologies include Vantage lighting controls; home theatre; security system; 3 automated/remote-controlled Toto toilets w/heated seats and built-in bidets & blow dryers; and Wolf/Subzero appliances. 2 detached 2-car garages; grand living room; oversized family room; library/office; gym/nursery; formal dining room; lake-view breakfast nook; full butler kitchen; laundry room; pool w/spa, sun deck, pool cabana and a screened gazebo on the dock. Did I mention the home theater? This home must be seen to fully appreciate it. Up to 15 acres (3 lots) can be added to make this a Family Compound. By Appointment to Realtors and Qualified Buyers Only. 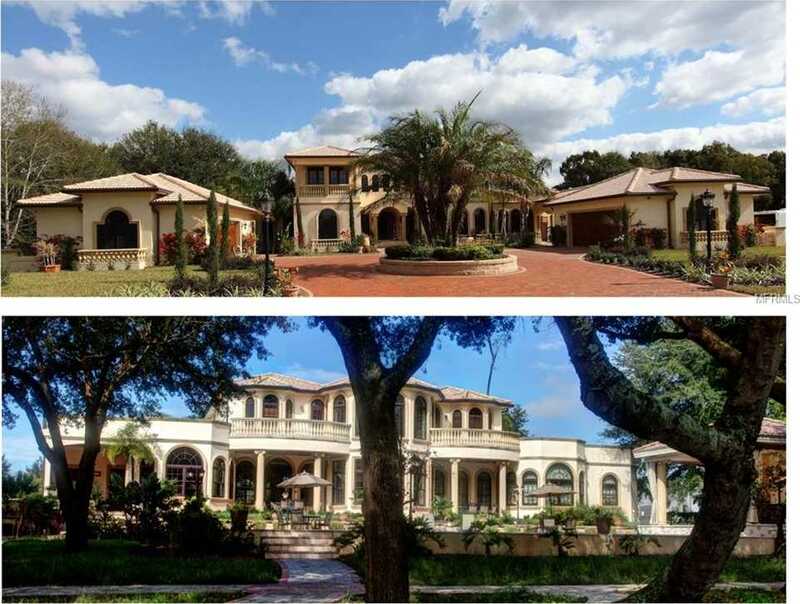 Please, send me more information on this property: MLS# U8017831 – $3,980,000 – 117 Bellamere Palms Ct, Lutz, FL 33549. I would like to schedule a showing appointment for this property: MLS# U8017831 – $3,980,000 – 117 Bellamere Palms Ct, Lutz, FL 33549.